We cater all events, large and small! Bellyful Catering guarantees your complete happiness by exceeding your expectations of taste and flavor, presentation, timeliness and satisfying portions! We always use the freshest ingredients! Our service staff can help with everything from waiting on your guests to clearing china and washing dishes! We can provide a well trained and friendly staff to set-up, provide service and breakdown your event. 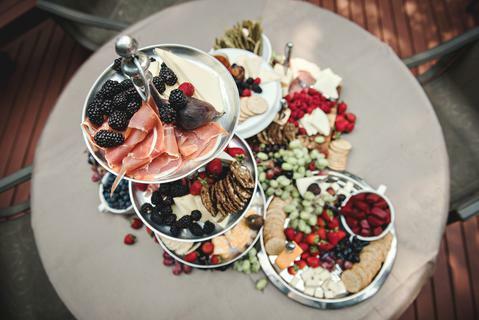 Bellyful Catering offers complete beverage service including all non-alcoholic and alcoholic beverages. We are proud to offer all our menu items using organic and natural ingredients, for additional costs, but please inquire if you are interested. We also use biodegradable and compostable paper products upon request at no extra charge. The charges that may apply are listed on the menus and depend on the mininum order and location of your facility. Our Petite Bellyful Dessert Bar is an excellent option to add variety to your event. Everyone has a sweet tooth and we can help you find the perfect treats for your guests. ~Musicians & D.J's ~ Flowers, Favors & Decor ~ Rentals and Facilities~ Just Ask!